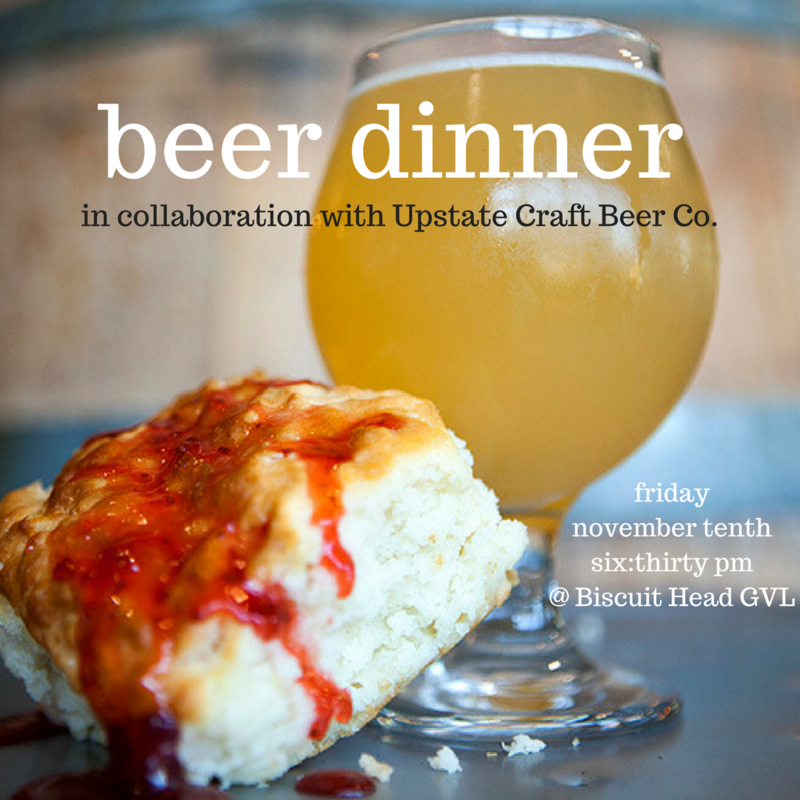 2nd Annual Beer Pairing Dinner with Upstate Craft Beer Co. Chefs Jason Roy and Michael Fisera present four courses specially curated to accompany four different styles of beer brewed right here in Greenville, SC. Biscuit Head knows you love their biscuits but let them show what they can do beyond the biscuit. Plates are paired exclusively with locally crafted brews to blow your minds and titillate your taste buds. Let's Get Heady, Greenville!